Montgomery County is located west of Albany, in the Mohawk Valley of Central New York. The county seat is Fonda, which is over a two hour drive from the Syracuse area. The population of the county, according to the 2010 US Census, was 50,219. The county is named after the Revolutionary War General, Richard Montgomery. The highest point in the county is Willse Hill at 1663 feet located in the western part of the county near the border with Herkimer County. The Erie Canal travels through the county as well as the Erie Canal Towpath Trail. A gem that is located within the county is the Canajoharie Gorge and waterfalls located at Wintergreen Park. 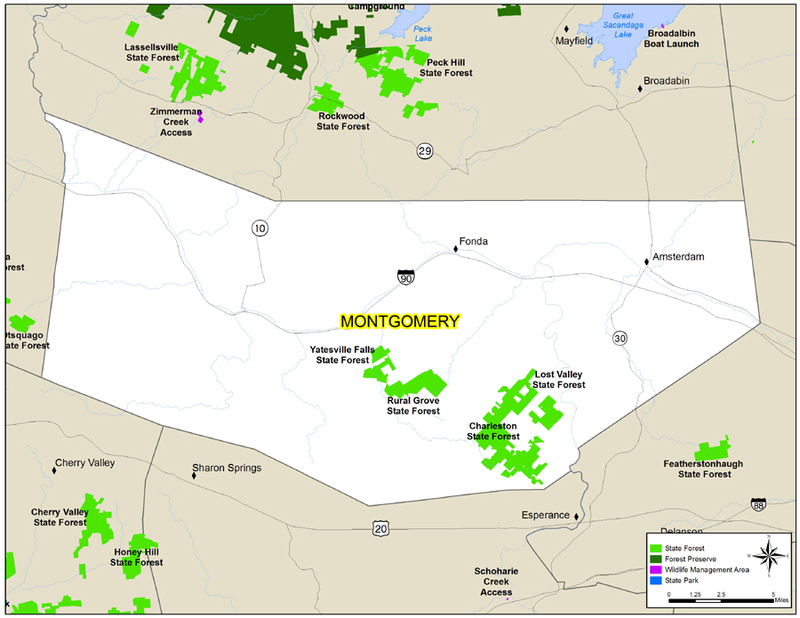 Look below for links to help plan your hiking adventure in Montgomery County.